WE can put a hold on that two-tier Championship then? That box of chocolates that life is supposed to be like, according to Forrest Gump, served up nothing but a handful of coffee creams for Monaghan last weekend. Of course, we all know that if we eat all the good ones at the start, the remaining ones are bound to disappoint. Monaghan did very little wrong against Tyrone. Many of the Farney displays were out of the top drawer and they got the necessary rub of the green when it mattered most. 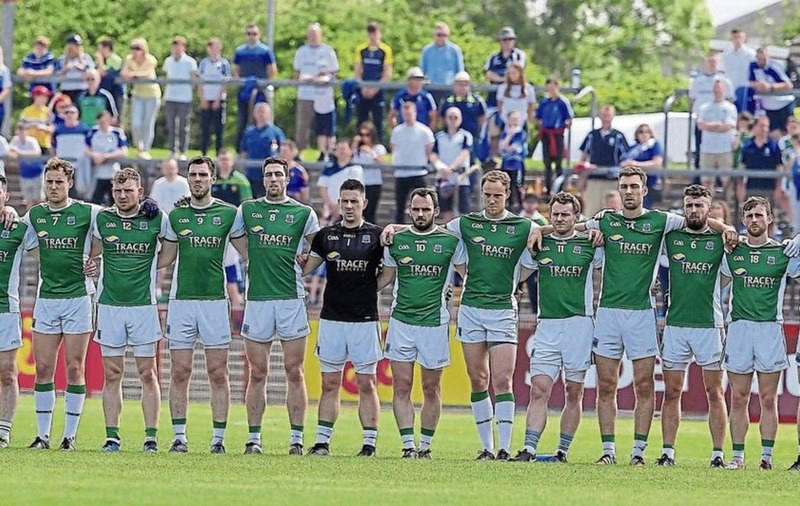 The task of mentally preparing and getting over the Tyrone game, while another huge match-up appeared a near certainty against Donegal, meant the Fermanagh match inevitably got put into the mental category of ‘tricky but should be okay’. Malachy O’Rourke, I’m sure, issued many warnings. Yes, the various clichés of ‘one game at a time’, ‘maximum effort’ and having to ‘get the job done’ can be rolled out but, having been there, I know for a fact that performance levels in these types of games are never going to be the same as in the ‘big games’ that sandwich them. Often though, even sub-standard performances are still enough because, if truth be told, most lower-ranked teams fail to take the opportunity open to them. For underdogs to win, they usually need a combination of things to fall perfectly into place. They need their own team to produce a performance and level of intensity close to their very best. They need to fully believe they can pull it off. They need to ride out the periods in the game when their more vaunted opponents start to get the upper hand and, even with this, they still usually require the rub of the green. This list on its own shows why big underdog upsets are a rarity. What is rare, however, is of course precious. This was demonstrated by the scenes we witnessed in Healy Park last Sunday. Such victories bring about unique outpourings of joy and pride. For a game where the gap between the haves and have nots is greater than ever, the overlooked football Championship has thrown up a host of amazing victories to date. These results are perfectly timed as many of these victories will be referenced when the inevitable discussions of a two-tier Championship resurface. Despite being a supporter of a graded structure, it certainly has made me have second thoughts. The scenes were also a perfect riposte to the often-spun narrative suggesting players or counties playing defensive systems are somehow victims of such great misery and suffering due to the styles being imposed on them. It’s an opinion I always thought absurd. Can anyone really be that blind to the scenes not only in Fermanagh, but in Carlow, Laois and Longford to name but a few? Quite rightly, no team aims simply to entertain. A team may carry one or two players who have that side in them, but unless that team is backboned by hardened winners they will never amount to anything. Like it or loathe it, it is extremely hard to argue that defensive football is anything but successful. Look at the teams who have embraced it (yes, including Dublin). Almost any team that have made serious strides since Jim McGuinness’s ground-breaking Donegal team came on the scene in 2011 and 2012, have adopted these tactics to a degree. Of course, the defensive tactics have limitations. It is only ever one half of the deal, but to suggest the high achieving teams are somehow above these tactics is to ignore their very foundations, made as they are of solid defensive play and killing the space. While I always advocated the ability of the game to move on from the zonal defence by way of natural evolution, it is hard to see the impetus for change when viewed against this year’s tactics and results. The false dawn of a new style has arisen several times over the past two-three years only to be smothered by a well-executed blanket. The GAA have avoided making rule changes to curb it, but this may be the only way. 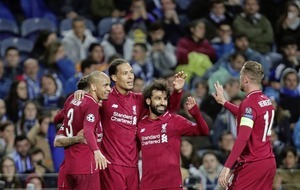 The problem is that doing so would rob the lower-ranked teams of their most potent weapon and, in doing so, send them into shoot-outs hopelessly outgunned by the elite teams of the game who can make hay in open, free-flowing games of football. I suspect getting rid of defensive football will only make the strong stronger. Given the charges of elitism in the game, that would not appear to be conducive to a great outcome. Better the devil you know? Possibly. One certainty is that the issue is much more nuanced than some would have us believe and we’re certainly not in any place to claim the end is nigh. The wild swings in opinion on teams, as witnessed by Monaghan’s plunge in stock, is all part and parcel of early-season Championship when too much is read into every event and teams are categorised as either brilliant All-Ireland contenders or terrible cases and in need of a complete overhaul with nowhere in between. These huge swings will reach some firm conclusions this weekend with the first round of the Qualifiers. It is probably the best first round in years in terms of the draw and, with many managerial heads potentially on the line, it could be very tasty indeed. Hard, defensive football will undoubtedly be the order of the day. Given the nature of straight knock-out Championship and, of course, with ties to be finished on the day, the potential for a 45-shoot out in plenty of games that are too close to confidently call, means it promises to be one hell of a weekend. This type of weekend, with so many stories and sub-plots, would be perfect for directing everyone’s attention to a football Championship that has been largely forgettable. Yet with only two of 11 ties being televised, it is likely to be completely overlooked again, leaving this year’s competition to limp on and become increasingly desperate for resuscitation via the Super 8s. In terms of this week’s games, it makes my head hurt just thinking of the tactical analysis, so I’ll stick to the basics and, just for the sake of it, call Donegal, Tyrone, Derry, Armagh, Mayo, Cavan, Wexford, Offaly, London, Laois and Dublin. With all games bar Dublin’s and, to a lesser extent, Mayo’s close calls, I’ll accept a scraped pass rate of 50 per cent.